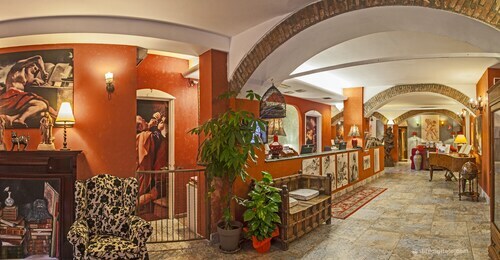 Located in a provincial park, this family-friendly hotel is within 6 mi (10 km) of Gessi Bolognesi e Calanchi dell'Abbadessa Park, Piazzale Dante, and Cassero Theatre. Castel Guelfo Outlets and Laghetto Scardoli are also within 9 mi (15 km). 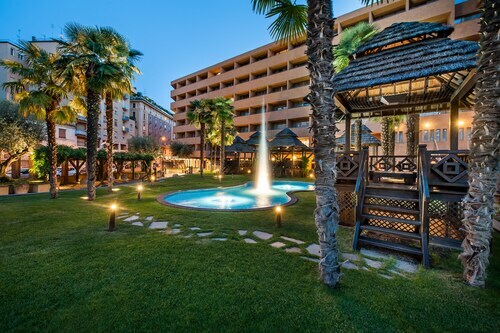 Located in Bologna City Centre, this golf hotel is within 1 mi (2 km) of Via Indipendenza, Piazza Maggiore, and University of Bologna. BolognaFiere and Sant'Orsola Malpighi Hospital are also within 2 mi (3 km). Bologna Central Station is 6 minutes by foot. 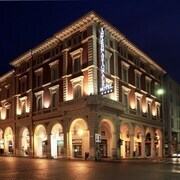 Located in Bologna City Centre, this spa hotel is within 1 mi (2 km) of Via Indipendenza, BolognaFiere, and Piazza Maggiore. University of Bologna and Sant'Orsola Malpighi Hospital are also within 2 mi (3 km). Bologna Central Station is 10 minutes by foot. 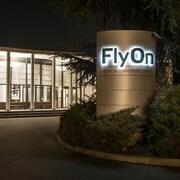 Located in Bologna Fiere District, this hotel is 0.4 mi (0.7 km) from Parco Nord Arena and within 3 mi (5 km) of BolognaFiere and University of Bologna. EuropAuditorium Theater and Aldini Valeriani Sirani are also within 2 mi (3 km). 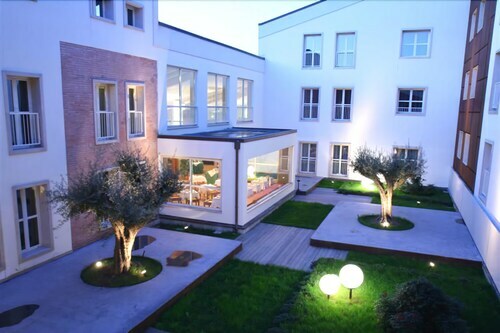 This family-friendly Bologna hotel is located near the airport, within 1 mi (2 km) of EuropAuditorium Theater, BolognaFiere, and University of Bologna. Piazza Maggiore and Sant'Orsola Malpighi Hospital are also within 2 mi (3 km). Bologna Central Station is 16 minutes by foot and Bologna Fiere Station is 28 minutes. 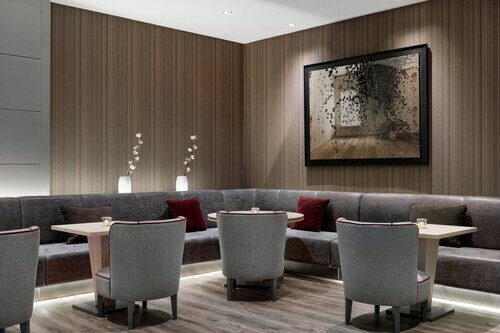 Situated near the airport, this hotel is within 6 mi (10 km) of Unipol Arena, Ducati Museum, and Ca' la Ghironda Modern Art Museum. Centro Meridiana and Palazzo Sanuti Bevilacqua Degli Ariosti are also within 9 mi (15 km). 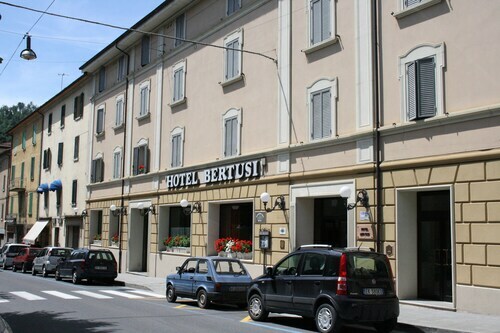 Situated in Porretta Terme, this spa hotel is within a 5-minute walk of Via Giuseppe Mazzini, Vittorio Veneto Square, and Porretta Terme Town Hall. Porretta Terme Church and Terme di Porretta are also within 15 minutes. Porretta Terme Station is only a 4-minute walk. Situated in the mountains, this historic bed & breakfast is 1 mi (1.6 km) from Monte Bibel and 11.6 mi (18.6 km) from Pliocene Contrafforte Natural Reserve. Vena del Gesso Romagnola Regional Park and Gessi Bolognesi e Calanchi dell'Abbadessa Park are also within 16 mi (25 km). 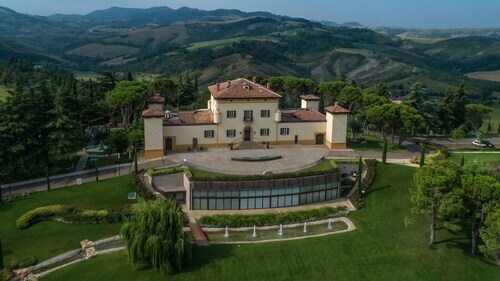 Situated in the mountains, this historic property is 1 mi (1.6 km) from Monte Bibel and 11.6 mi (18.6 km) from Pliocene Contrafforte Natural Reserve. Vena del Gesso Romagnola Regional Park and Gessi Bolognesi e Calanchi dell'Abbadessa Park are also within 16 mi (25 km). 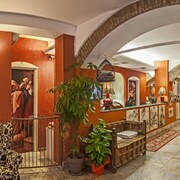 Situated in Pieve di Cento, this hotel is within 1 mi (2 km) of Pieve di Cento Parish, Piazza Guercino, and Monument to the Martyrs of Independence. Church of the Rosary is 1.3 mi (2.2 km) away. This family-friendly Bologna hotel is located in a shopping district, within a 5-minute walk of Via Indipendenza and Piazza Maggiore. University of Bologna and Sant'Orsola Malpighi Hospital are also within 1 mi (2 km). Bologna Central Station is 14 minutes by foot. Located in Borgo Panigale, this hotel is 0.5 mi (0.8 km) from Ducati Museum and 2.1 mi (3.4 km) from Ospedale Maggiore di Bologna. Piazza Maggiore and Unipol Arena are also within 6 mi (10 km). Bologna Borgo Panigale Station is 10 minutes by foot. Are you looking for a break from the hustle and bustle of your day-to-day life? Do you want to escape reality and forget about your never ending to-do list? Then why not treat yourself to a relaxing stay at one of the spa hotels in Bologna? 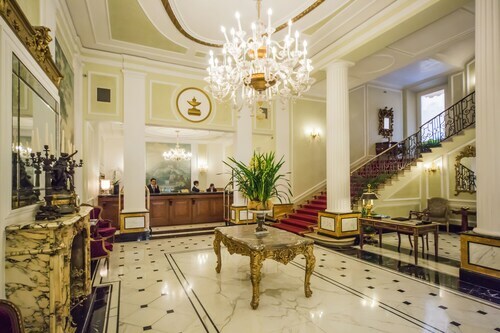 Whether it is for a weekend getaway or a staycation, book your visit to one of the Bologna luxury spa hotels. 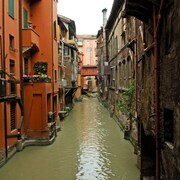 With all of the amazing things to do around Bologna, you will likely be worn out from sightseeing. 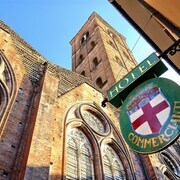 The Bologna spa hotels provide top of the line facilities with hot-tubs, saunas and private treatment rooms. Treat yourself to an indulgent hot stone massage or facial to rejuvenate from a busy day. If that's not enough for you, indulge in a full day-at-the-spa package. And maybe you are just looking to reach maximum relaxation before a fancy night out on the town. Take advantage of the salon features offered at most Bologna spa hotels and get a mani-pedi before your evening begins. Travelocity wants to help you relax and rejuvenate during your next stay in Bologna, but we know that spa treatments can put some strain on your wallet. 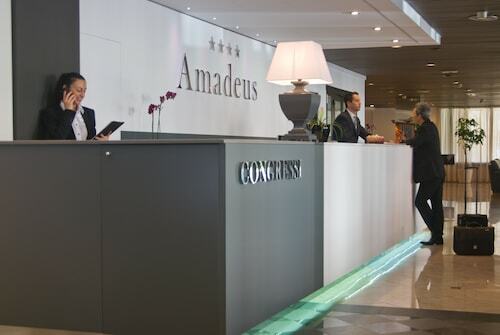 Bundle your hotel and flight together and save enough to pay for your facial! The room was small, but clean and modern. The breakfast was very nice. The location was ideal for my needs. The check in staff was not very friendly or helpful. The hotel was close to the train station, but not to the center of the city. 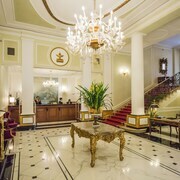 The hotel staff was very nice and accomadating. The room had one small window in the corner. The walls were so thin heard every move inthe next room and each flush, annoying. This hotel is not a 4 star hotel. Also apartments attached to the other half of the hotel ,sharing courtyard, therefore looking at hanging laundry, dead plants, etc, The breakfast is the same each morning, good yogurt.